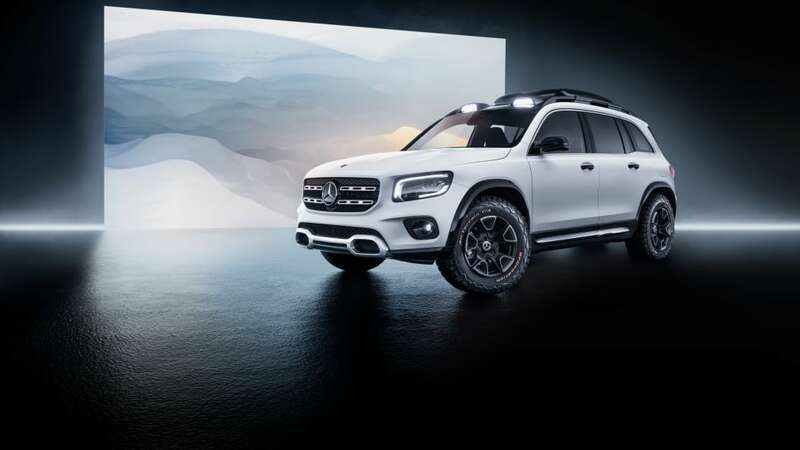 The carmaker doesn't want anyone to wonder how it could cleave another compact crossover into the lineup without cannibalistic overlap, so designers went hyperbolic with the cues that stress brawn and the GLB's connection to the G-Class. 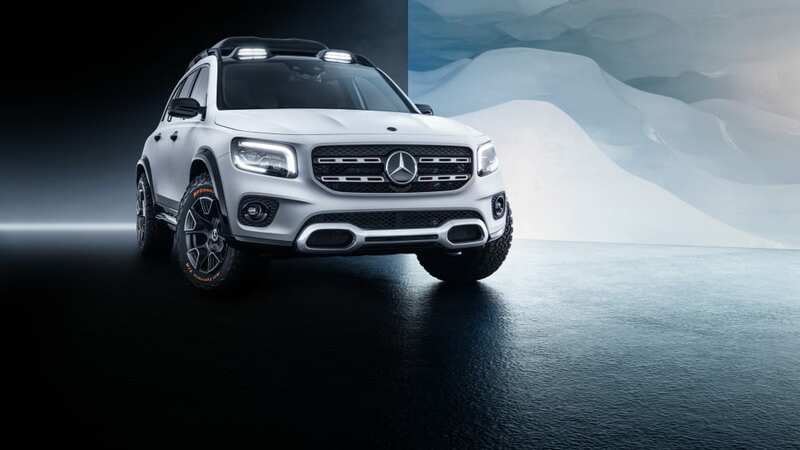 We don't expect the production version to get light bars, a roof box, or 265/65 R17 BFG All-Terrains on off-road alloys. 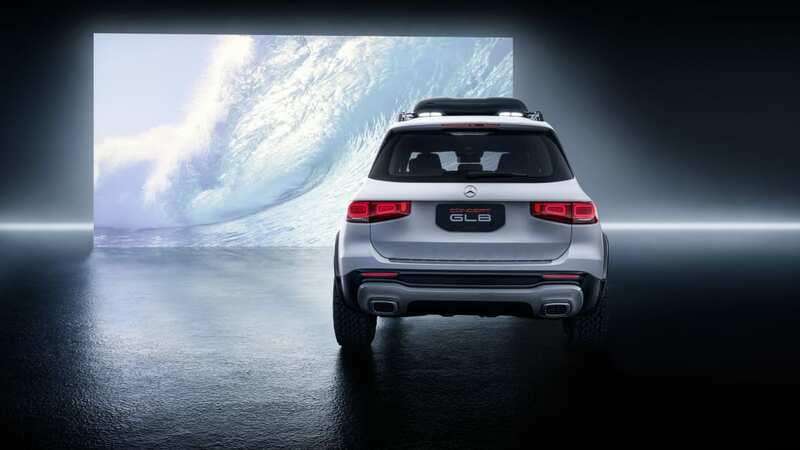 The plumb face, the tall, sheer sheetmetal along the flanks, and the upright backlight and tailgate channel the squareness of the Concept GLB's big Gelandewagen brother. 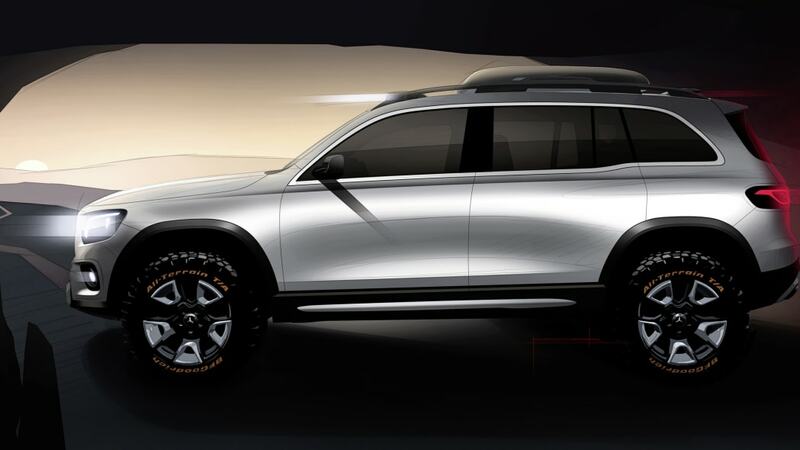 We'd like to see the cladding that provides a touch of flare over the wheel arches stick around, too. 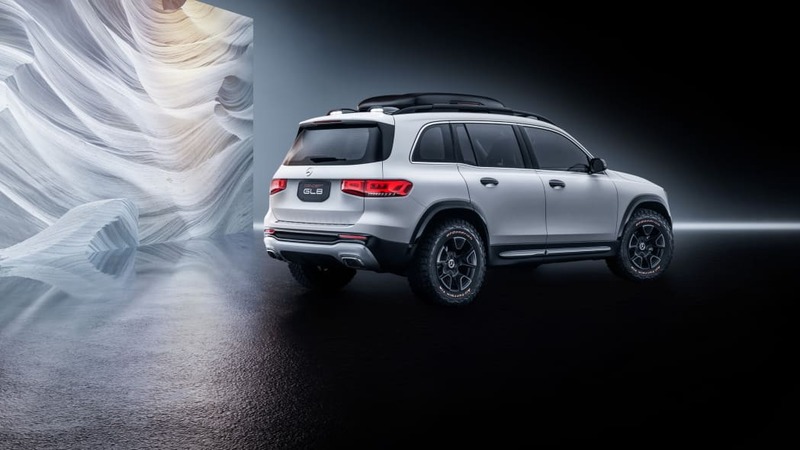 The crossover's footprint is 182 inches long and 74 inches wide, on a 111-inch wheelbase, with a 75-inch height. 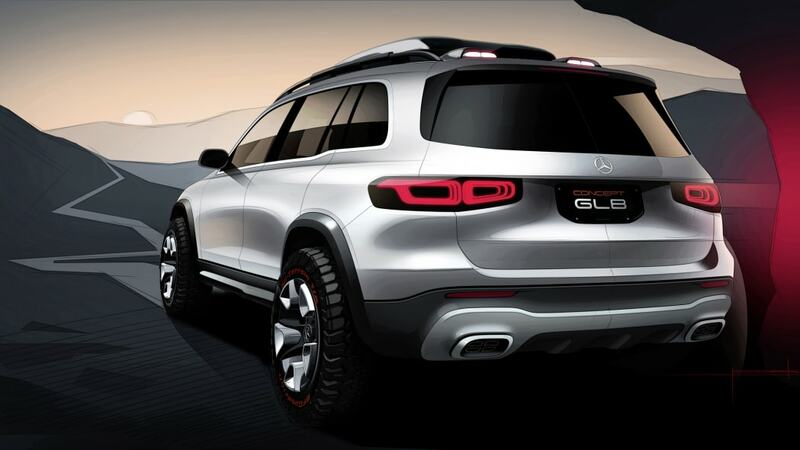 That puts the Concept GLB much closer dimensionally to the GLC than the smaller GLA. 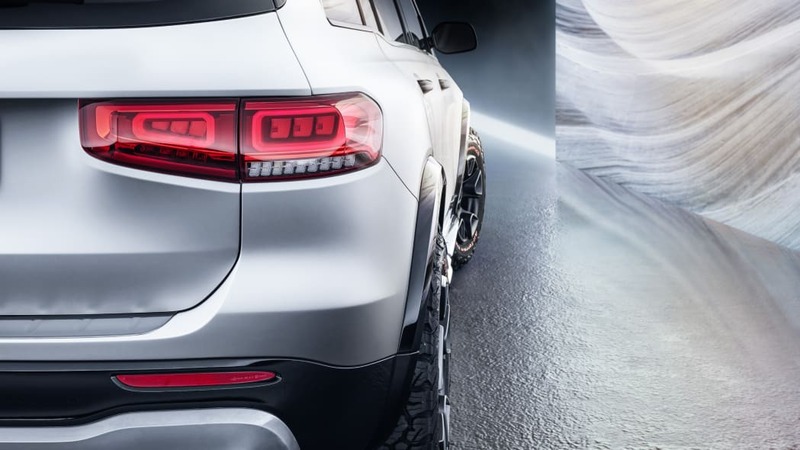 The length is 1.3 inches shorter, the wheelbase 2.1 inches shorter, and the width 0.4 inches shorter than the GLC 300, but the Concept GLB stands a whopping 9.5 inches taller than the GLC. A little bit of that height can be attributed to the tires, but only a little. 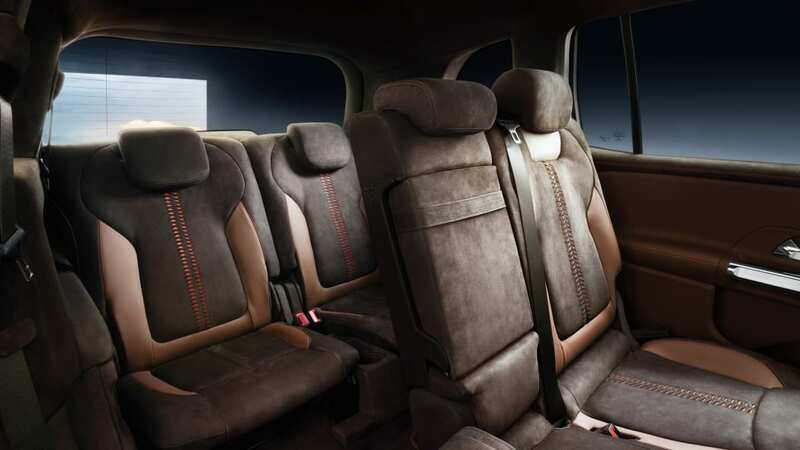 The story inside focuses on room: Mercedes-Benz installed two third-row seats, a first for the brand in the compact class enabling seven humans to come along for the ride. 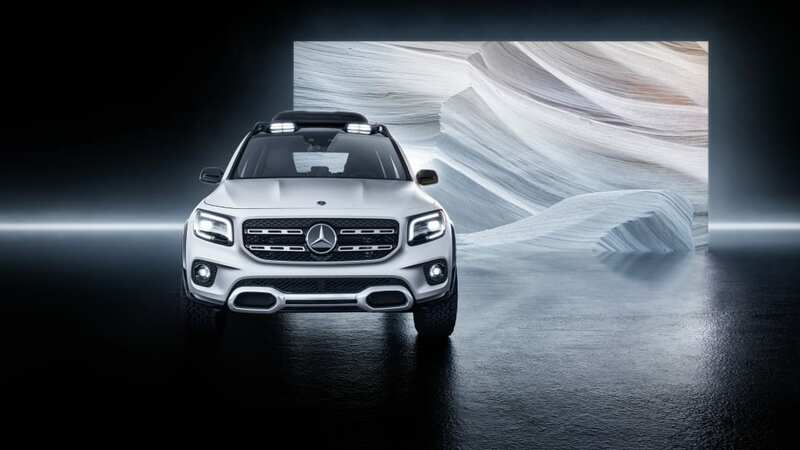 Mercedes says "These seats are far more than emergency seats, and offer comfortable seating for two medium-sized occupants." We'll find out when we sit in them. An Easy-Entry function on the second row simplifies third-row access. The middle row slides 5.5 inches to make more room for legs ahead or luggage behind, splits 40:20:40, and can fold flat into the floor with a 40:60 split. And the backrest not only folds forward, it reclines in eight stages. 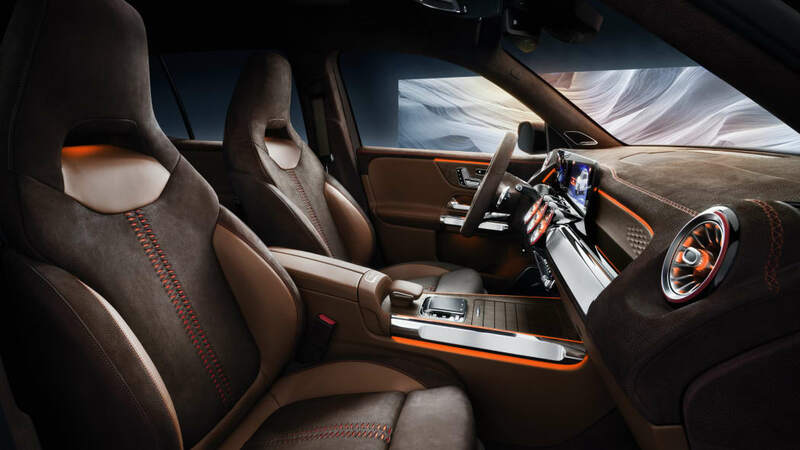 In front is the fullest expression of the chestnut leather and nubuck show car interior with orange highlights and open-pore walnut trim. 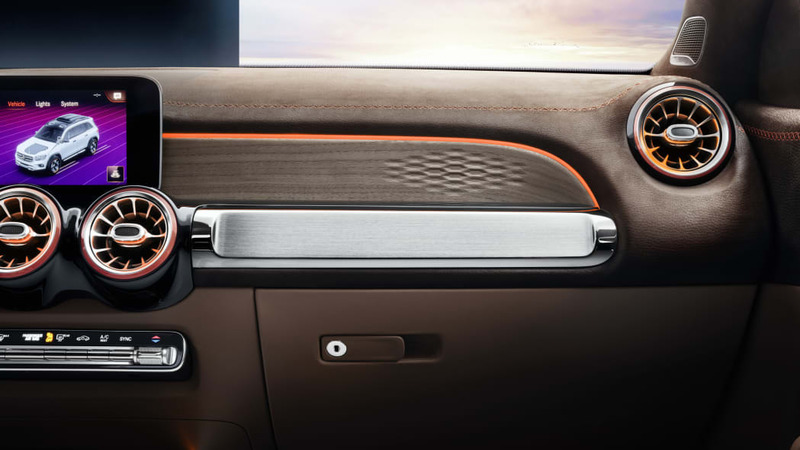 MBUX screens stretch across the B-Class instrument panel, their techno-compliment in the metal-look aluminum HVAC controls and aluminum trim on the center console and doors. The concept engine is a 2.0-liter turbocharged four-cylinder with 224 horsepower. 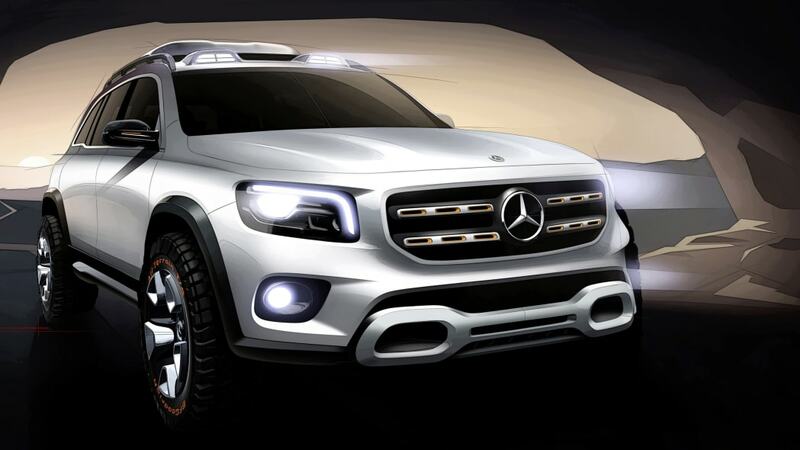 If that's the output the GLB brings to dealerships, that's 16 hp more than the GLA and 17 hp fewer than the GLC. 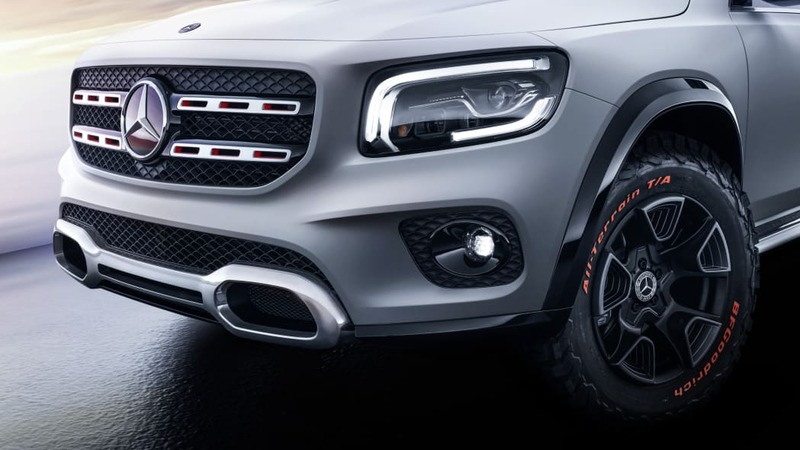 Torque comes in at 258 pound-feet, matching the GLA. 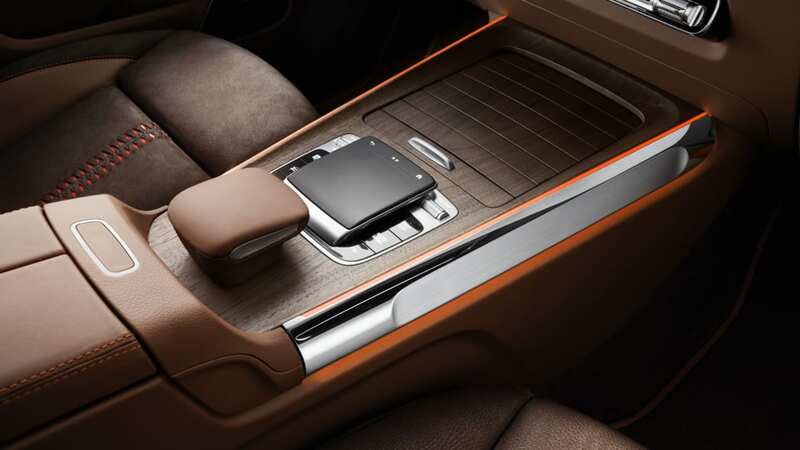 Shifting on the concept works through an eight-speed dual-clutch transmission. 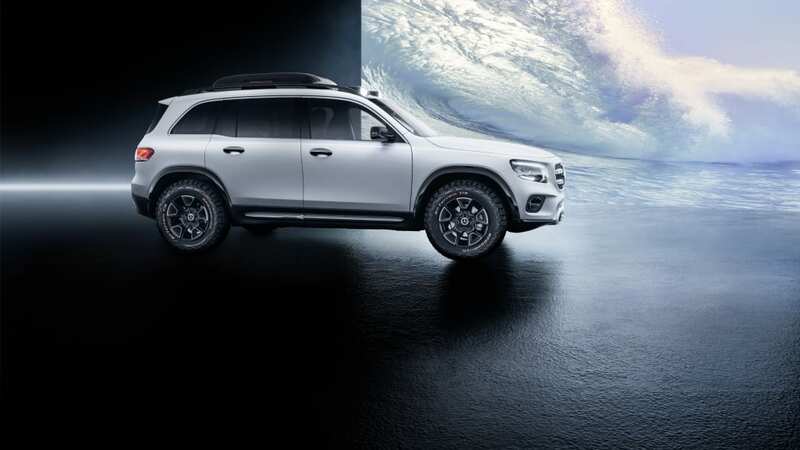 Built on the same front-wheel/all-wheel drive MFA2 platform as the rest of the A- and B-Class offerings and with rugged pretensions, we can expect two-wheel and 4Matic all-wheel drive variants. The three-mode torque distribution can go from 80 percent up front to 50:50 in Off-Road mode. The production GLB should come to showrooms late this year or early next year. 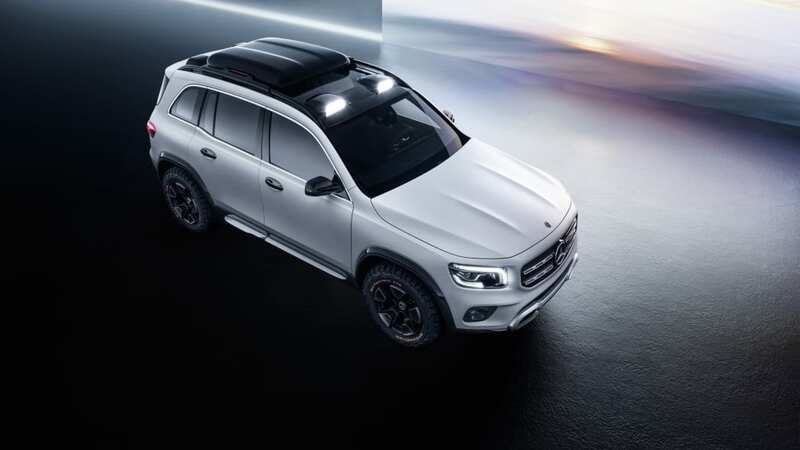 In addition to a standard turbo-four-powered model, at least one AMG version is expected, and an electric model under the EQ Boost brand.